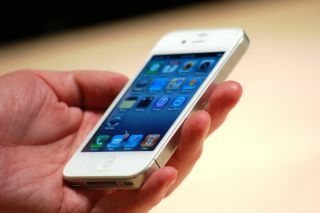 Apple has finally come clean and admitted it's having some manufacturing issues with the white iPhone 4, meaning long delays. "White models of Apple's new iPhone 4 have continued to be more challenging to manufacture than we originally expected, and as a result they will not be available until later this year. "The availability of the more popular iPhone 4 black models is not affected." We're not surprised the black iPhone 4 is more popular as it's actually available to buy, but we're confused as to why it's harder for Apple to simply change the colour of the chassis. Rumours that the white version of the iPhone 4 will run seven per cent faster than the black version, with longer battery life and higher internal storage, are unsubstantiated at the moment. "It will disappoint many who were excited at the prospect of owning the white iPhone, but it'll just increase its cachet when it's finally released. Until then, there's always Tipp-Ex." Perhaps the wait is not the phone itself, but for a white Bumper - after all, which self-respecting Apple fan would want to mix and match his or her colour scheme?